If you already have a machine, it's imperative to make sure it's been recently serviced. Doing this will ensure your mechanics (such as the Bobbin Tension and Feed Dog - the mechanism that moves the fabric when sewing) are in proper working order and any abnormality in sewing will be "pilot error", which can be corrected through practice. If you haven't been gifted a machine and are looking to purchase your first machine, here are some hints to help you choose the right one. a. Start by finding a reputable sewing machine repair shop. Often they will be attached to a dealership (just like cars!). If you can find an independent repair shop, and you have a good rapport with the mechanic, you might be happier. This guy (or gal) will be straight about repairs and won't tell you to give up your old machine to buy the latest model. Also, s/he will be a good source for acquiring a good, used machine if you're on a budget. If, on the other hand you find that your local sewing machine dealer is fabulous, by all means, use your best resources and go for it. b. Get a machine with all-metal parts. Many cheaper model sewing machines have plastic pieces. These parts are the ones that will invariably break first. Replacement of the parts may be cheaper, but you'll end up spending far more for the labor to install new plastic parts that will break again. (SIDE NOTE: my stepmom bought me a Sears Kenmore 12-stitch: all-metal parts. It's still running strong, with only the occasional tune-up, for almost 30 years!). 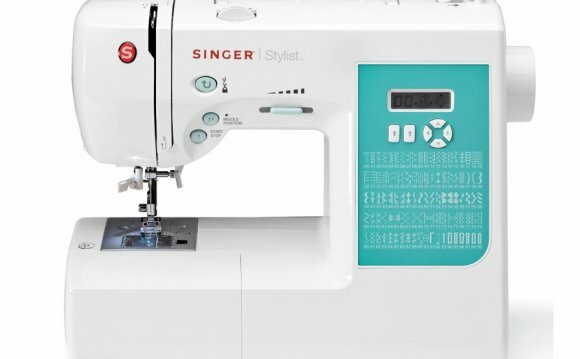 If the choice is an all-metal, simpler sewing machine with "only' 12 stitches and a machine with more bells and whistles (and plastic parts) for the same price, invest in the first machine. c. When you're first starting out, consider a basic model. In all honesty, you're likely to never require more stitches than those included with the basic 12-stitch model. If, down the road, you find your sewing becomes detailed enough that you need a more complex machine, look for a machine that'll fit those specific needs. You can then keep your first machine as a workhorse, to just do crafting, or buttonholes, or whatever. Or, you can gift your first machine to a non-profit, like your local Girls & Boys Club.